This Reproduced Sound Conference will focus on all aspects of electroacoustics. Theatre and acoustic consultants Charcoalblue will take us on a tour of the new foyer area of Bristol Old Vic theatre. This new build within a listed building has an RT60 of close to 1 second despite its large size. Controlling noise ingress and egress in the entirely passive ventilation system which uses a sizeable "chimney" was one of the many challenges they will describe in this tour lasting approximately one hour. Bristol Old Vic is a 5 minute walk from the hotel. The Bristol Hotel - This allocation has now expired. Bristol is one of the most easily accessible cities in the UK. Bristol Temple Meads is our main railway station, situated in the heart of the Bristol's business area and close to many of the city's conference venues. It is just 10 minutes walk from the central shopping quarter, or 10 minutes to the bustling harbourside area. If delegates are flying into Bristol International Airport, there is an Airport Flyer Bus service which runs 24hrs a day – ranging from running every 10 minutes during the day to an hourly service during the night. The Airport also has a dedicated onsite taxi & minibus service with Arrow Cars. They offer a high quality, modern fleet of vehicles at competitive prices (Approx . £30-£45 one way journey, depending on size of vehicle) They are available 24hrs a day, 365 days a year. 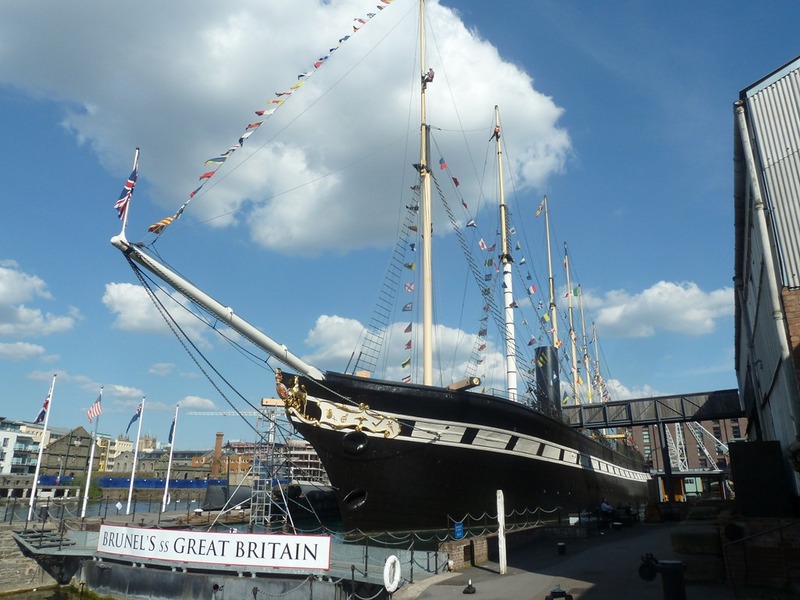 Launched in 1843, the SS Great Britain provided luxury travel for the rich and famous. Today, she is the centrepiece of a multi award-winning museum and visitor attraction. The dinner will be held in the First Class Dining Saloon and there will be an opportunity to explore the ship.